When you’re travelling to Fiji, an exotic island paradise renowned for its beaches, culture, and beautiful surroundings, there are certain things you’ll expect from your trip. Adventure, delicious food, and friendly locals are just a few things that come to mind, but to gain the most from your experience, you’ll need to find the perfect spot to watch the iconic Fijian sunset. 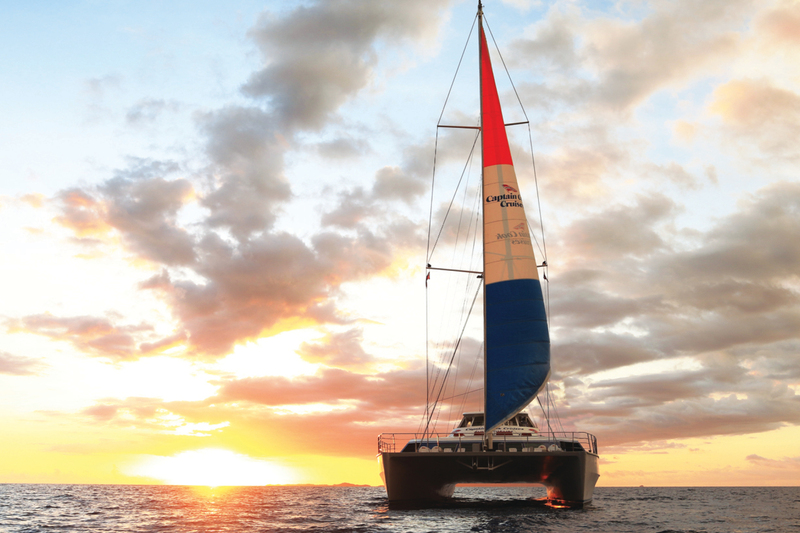 Here is our Fiji Holiday Experts top picks for the best places to watch the sunset in Fiji! The Sunset Strip is located on the southern coast of Viti Levu, between the towns of Sigatoka and Navua. Fijian locals have been loving this spot for decades and have finally let tourists in on the secret. Their recommendation is to catch the day’s last few rays of light and then grab a locally sourced dinner at one of the dining options along the coastline. Once the day is done and you’re fully satisfied, head back to either the Outrigger Fiji or Warwick Fiji – both are great resort choices in the vicinity. Consistently named as one of the most romantic spots in the world, Tokoriki Island is the ideal place for a couple to share in a stunning sunset. After all, apart from rose petals scattered around a room, what could be more romantic than watching the sun set while sharing a bottle of champagne? Your suite at the adults-only Tokoriki Island Resort will await you afterwards with a delightful spa bath and superbly comfortable bed. As one of Fiji’s most beautiful beaches, you’re guaranteed a gorgeous sunset at Natadola Beach. This palm tree-lined, white-sanded beach is also an ideal destination for a day of snorkelling, lazing, picnicking and horse riding. Base your stay at Yatule Beach Resort & Spa and find the beach right on your doorstep. Natadola Beach is a half hour’s drive from the exquisite Coral Coast’s Fiji Hideaway Resort & Spa and 50 minutes south of Denarau Island. Don’t forget to pack your swimsuit, camera and sunscreen! Who can go past the blissful Lalati Resort and Spa in Beqa Lagoon? Spend your holidays in a happy haze of romance while appreciating sunsets (and sunrises!) over the astoundingly pristine beaches and crystal blue water. With the romance packages on offer with My Fiji holiday, it can be a day or a week spent showing your loved one just how special they are. 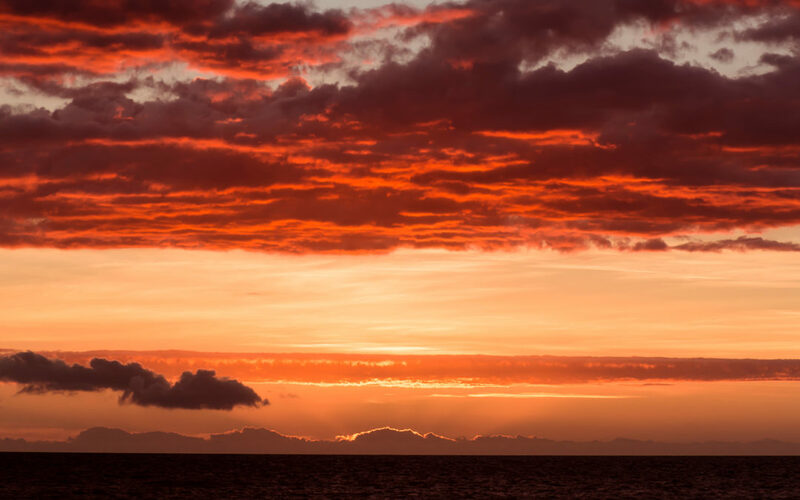 A perfect sunset option for the adventurous type is a sunset cruise, and no one does it better than the crew of the Captain Cook Sunset Dinner Cruise. Taking you to the best sunset location Fiji has to offer, your Captain Cook Cruise crew will pick you up from Port Denarau, which is conveniently close if you’re staying at the Sheraton Fiji or The Westin Denarau Island Resort and Spa. Along with an unforgettable sunset at sea, you can expect to experience Fijian cultural entertainment and first-class cuisine that will have your taste buds jumping for joy! The cruise departs every Wednesday, Friday, and Sunday evening at 5pm (5:30pm when daylight savings applies). Take a step closer to enjoying the brilliant colours of a Fijian sunset by checking out the fantastic My Fiji Hot Deals or contact our Fiji Holiday Experts to discuss your perfect getaway!